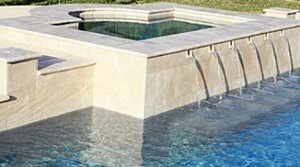 Not only does Alpa Pools & Spas sell swimming pool supplies in NJ, we offer top-quality repair services, too. Most pools can last years without experiencing issues, especially if they are well maintained and services on a regular basis. But even the best pool is going to need some repair work eventually. That’s when you can count on our team to get the work done quickly so you can start enjoying your pool again right away! Make sure you know the warning signs that your pool needs our attention. The sooner you get an issue fixed, the less damaging and costly it should be! Cracks in the walls or floors. Sudden cracks are a tell-tale sign that you have an issue. Repairing cracks can quickly can put a stop to the damage. Sudden changes in water color. This is usually a sign that something is wrong with your pump or filter. Our team will find the issue and get it fixed! Unexplained drops in water level. All pools experience some level of evaporation, but if you are losing more water than usual on a weekly basis, it’s time to call our team to find out why. You may have a leak that you haven’t discovered yet! If you spot the issue early enough, most pool repairs can be done quickly and without a big repair bill. The longer you wait, the bigger your chances of a pool disaster. Make sure you inspect your pool regularly if you are maintaining it yourself. If you do see an issue, get in touch with our team right away. We’ll even give you a free quote on the cost of your pool repairs! Make Alpa Pools & Spas your go-to source for swimming pool supplies, repairs, and service in New Jersey. Contact Alpa Pools & Spas Today!